Joe recently went to the Budapest F1 race with some friends. 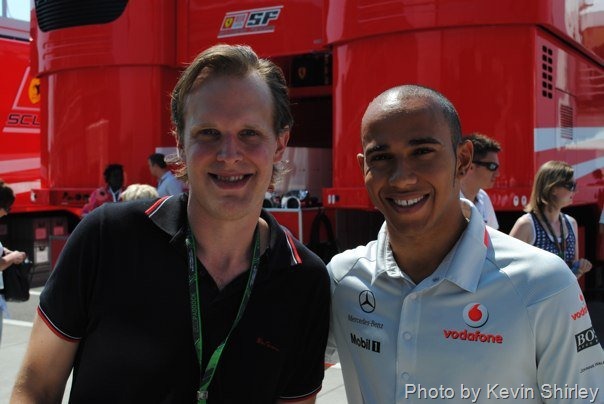 Joe is pictured about with F1 driver Lewis Hamilton. More pictures of Joe can be found on Facebook. Big thanks to Kevin Shirley for taking the pictures.